Clyde Clocks, originally located at 142 West Nile Street, Glasgow, developed from the war time manufacture of aircraft components by British-Foreign Agencies Ltd. 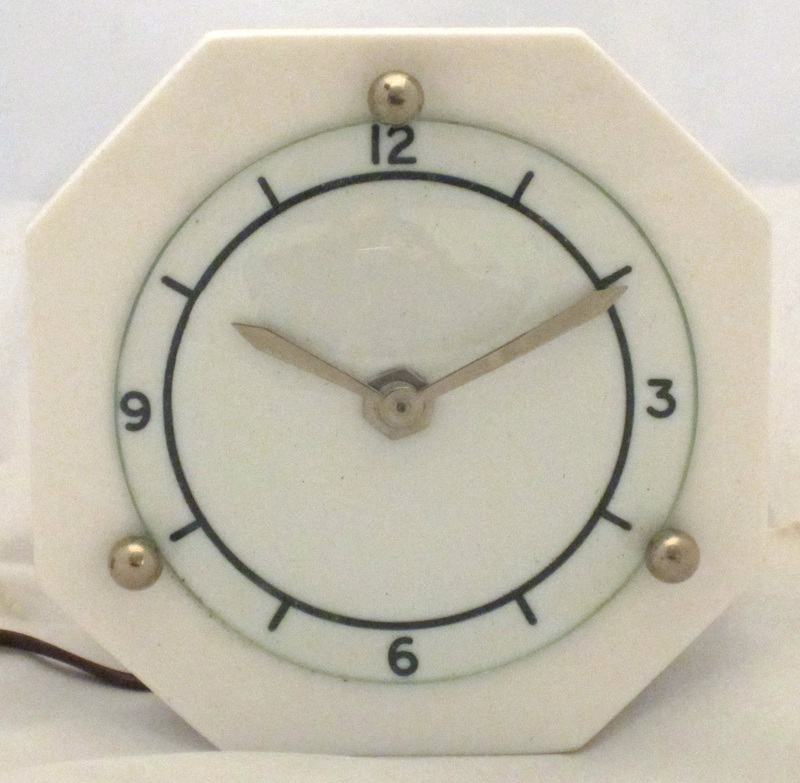 Faced with the need to convert to peace time production, and to utilise the machine tool capacity built up over the war period, the firm began the manufacture of synchronous electric clocks. 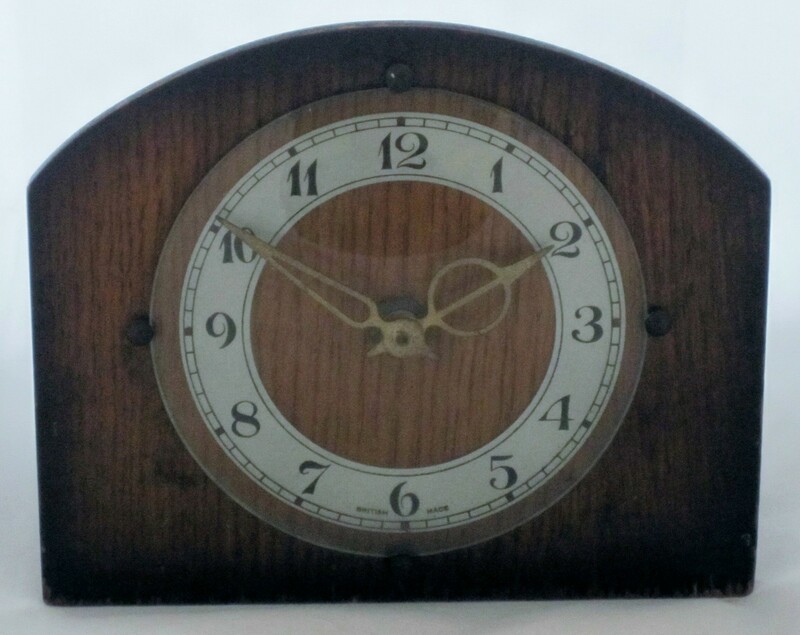 In July 1947 it was the only firm in Scotland manufacturing synchronous clocks from start to finish. They used cases made from alabaster, veneered wood, and plastics. The hands were of a distinctive design. The firm moved to larger premises at 28-32 Graham Square, Glasgow. They exhibited at the British Industries Fair in 1949, but not in later years. 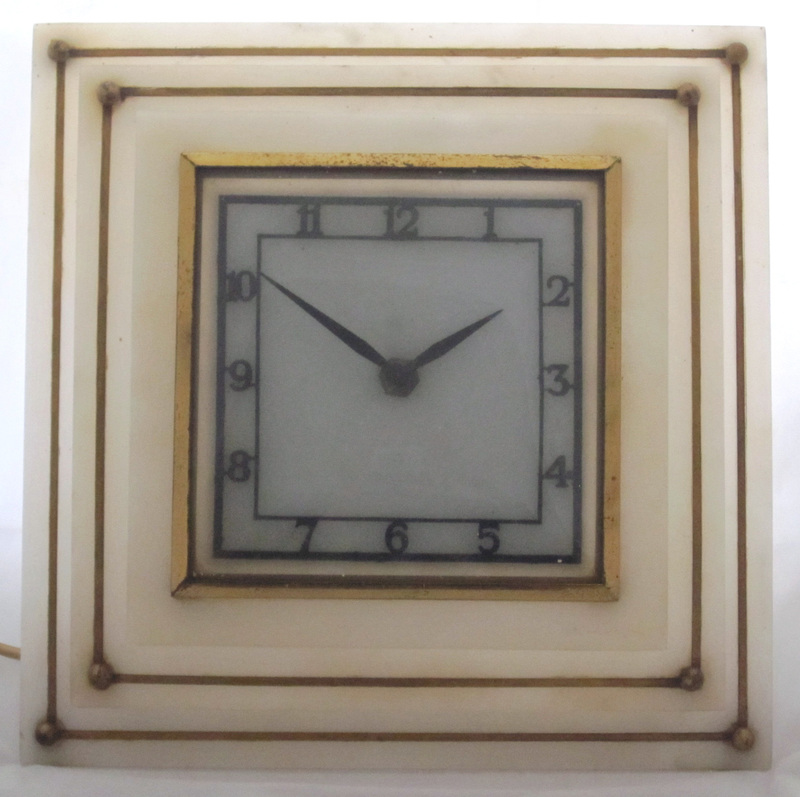 For more information on a clock see POOK L P British domestic synchronous clocks 1930-1980. The rise and fall of a technology. Springer, 2015. 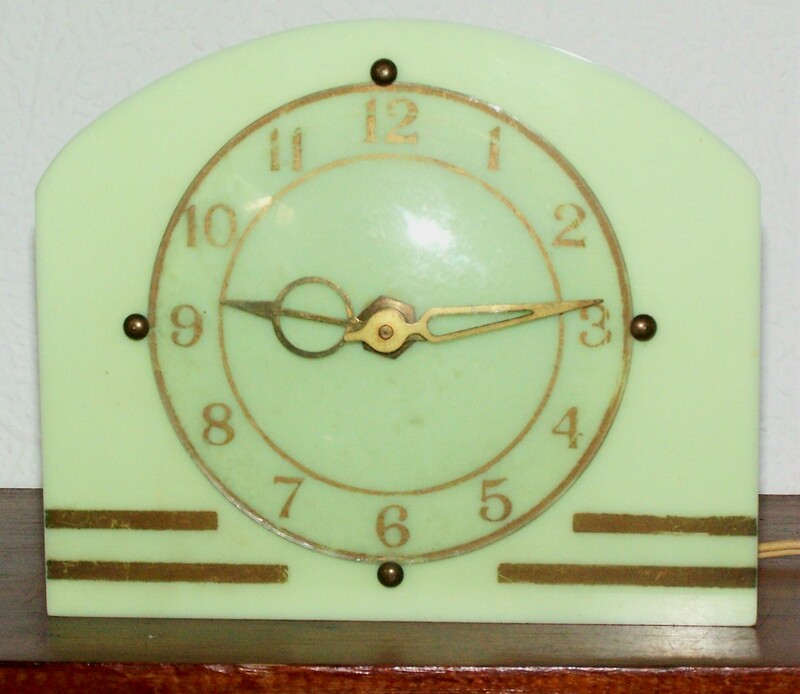 Clyde synchronous mantel clock (1). This model was available in several colours. I’ve got a Clyde clock similar to these though the case design is different. The face and the way they used four studs to hold the glass in place is the same. It used to me my Mum’s and was in the house as long as I can remember – I was born in ’52. It was not working when I got it but I’ve restored it and it has pride of place in my living room.